Chora, or 2 minutes away by bus. The sandy Gialos beach is only 300m. away from our Ios accommodation. 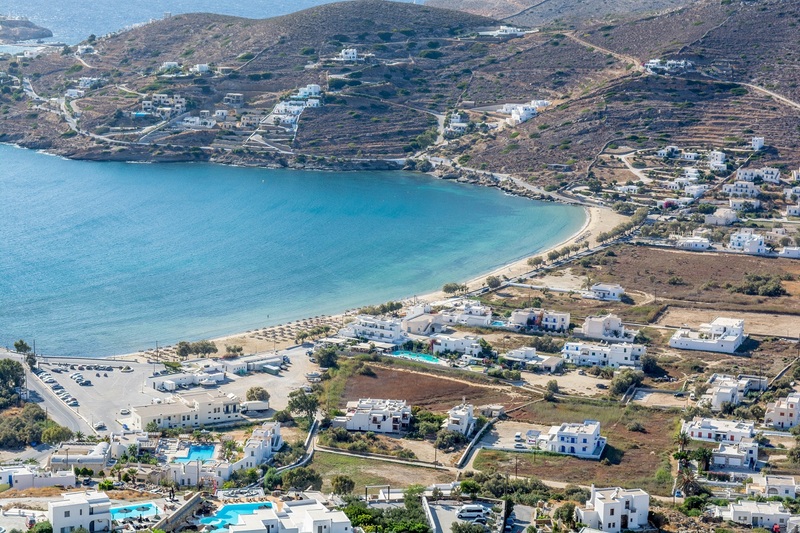 You will enjoy the crystal clear sea, calm waves and discrete Aegean breeze. Don't miss the opportunity to participate in water sports advanture. will be memorable and relaxing. 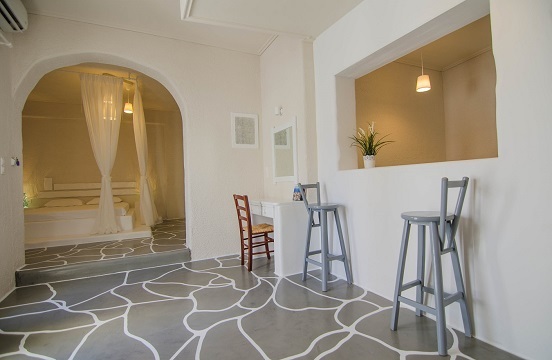 The room interior design is following the traditional Cycladic style. 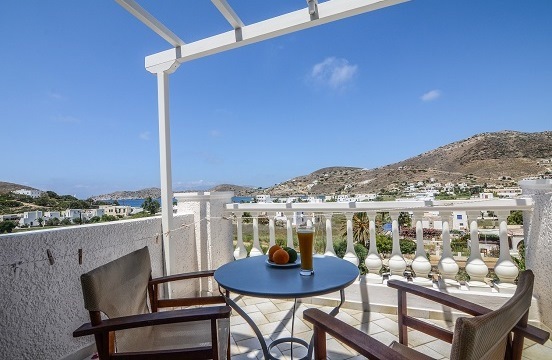 Wake up with a glimpse of Aegean Sea from your balcony. 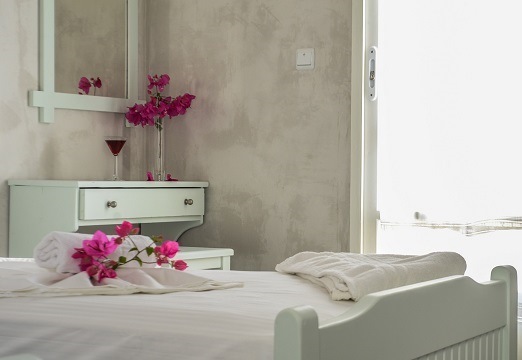 Very spacious and well equipped room designed according to traditional Cycladic style. This renovated and well equipped room features a sea view and pool view. 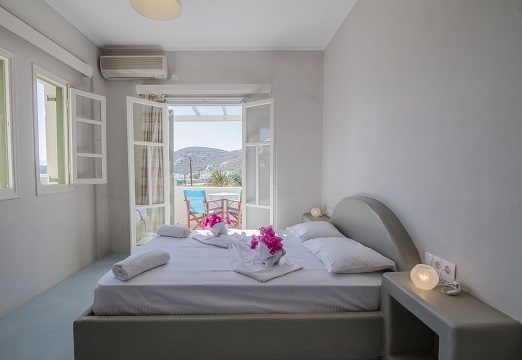 Triple rooms of Olga's Hotel are fully equipped and offer a view of the Aegean Sea. Newly renovated and spacious apartment, perfect for family vacation. Our studio offers a private entrance and private balcony with direct pool access. ©Olga's Ios. All Rights Reserved.